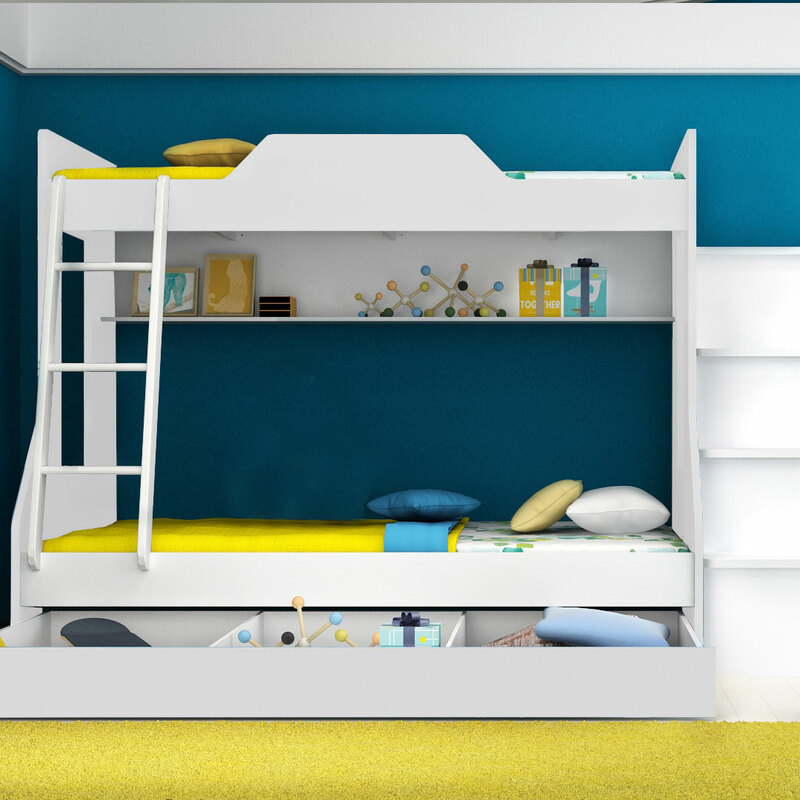 The Kendall Bunk Bed – White features a single bed at the top and 3/4 below, the space saving solution to all your kids’ bedroom requirements. 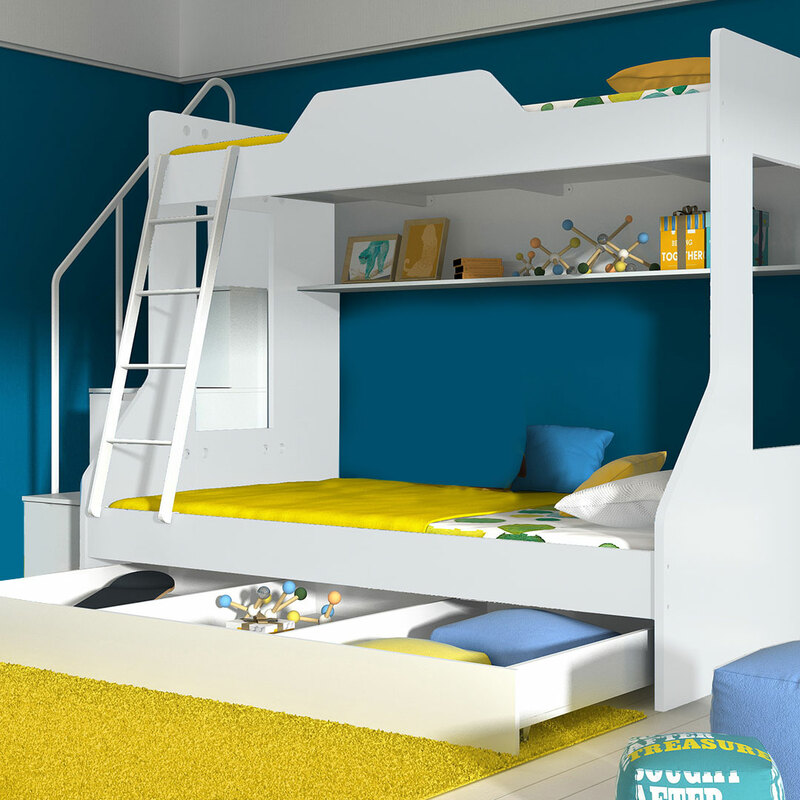 This bunk features a durable finish and accommodates a standard single size mattress at the top and 3/4 mattress below. Storage space is always at a premium and this bed offers enough solutions to enhance your child’s bedroom storage offering. The Kendall features shelving against the wall for display. The bottom bed has window features in the uprights to enhance the feeling of space. In addition, the Kendall has a higher clearance to the bottom of the top bunk (1342mm). The staircase (available separately) is loose standing, can fit on either side of the bed and has handy storage shelves and cabinets for your kids to organise all their favourite things. The underbed and mattresses are available separately.